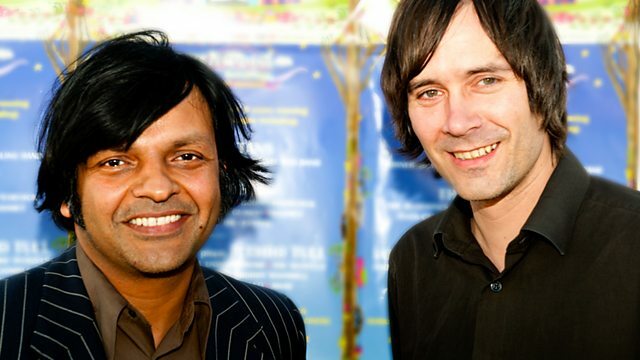 Ben and Tjinder from Cornershop take over and treat you to very early stuff from Captain Beefheart, Nick Drake and Marc Bolan, plus Baxter Drury drops by for a chat. After making their own foraging trip to the big BBC archive à la Jarvis - Ben and Tjinder from Cornershop take over the Sunday Service to treat you to very early stuff from Captain Beefheart, Nick Drake and Marc Bolan. There's also some very random vinyl from their personal collections and Baxter Drury drops by to talk about his new album. Cornershop And The Double 'O' Groove Of': Promo.